See scan - very good condition. LIFETIME GUARANTEED AUTHENTIC! 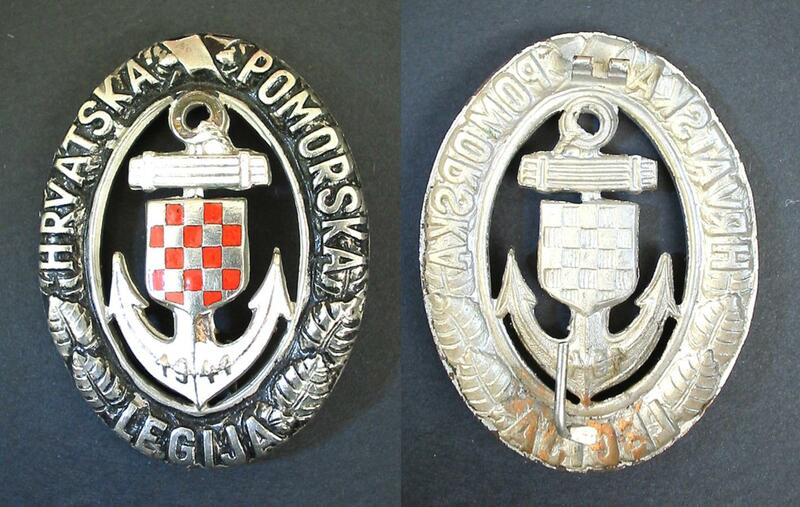 This is a nice and extremely scarce NAZI Germany WWII Croatian puppet state Marine and NAVY Legion member badge dated 1941. 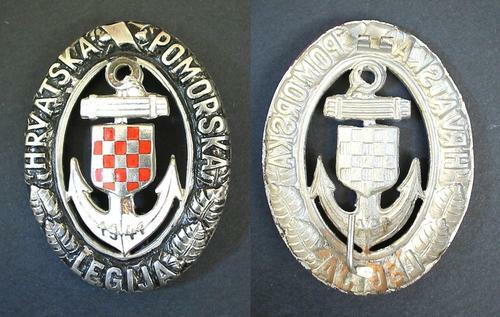 The surrounding text with wreath says HRVATSKA POMORSKA LEGIJA and in the middle is placed an enameled in white anchor with a date 1941 and Croatian Coat of Arms / shield at center. There are two tiny enamel chips and the back pin missing, but besides that the badge is in perfect overall condition. Absolutely scarce military / militaria collector piece and one of the rare NAZI German / Croatian related badges and decorations.